A tale of three politicians: which would you trust? Speaking in Manchester on Wednesday, the prime minister accused the Labour leader of holding a “Britain-hating ideology.” He suggested that Corbyn thought the death of Osama bin Laden a “tragedy,” rather than repeating his precise idea, which was that bin Laden’s extra-judicial execution without trial was a tragedy. 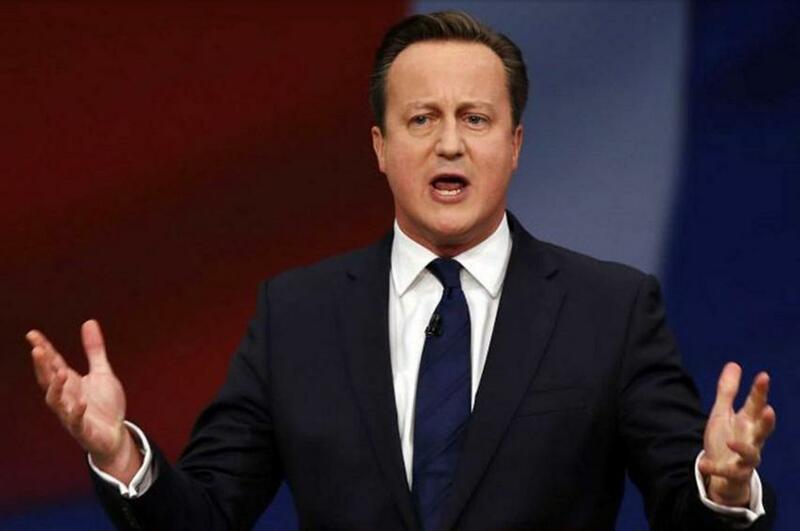 A petition demanding that Cameron retract is being circulated. 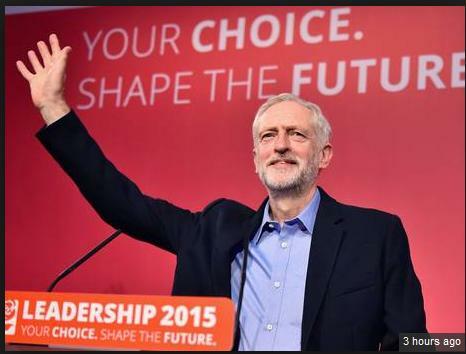 David Cameron’s attack on Jeremy Corbyn is likely to be ineffective – and indeed to strengthen his support base. Every time these dubious characters make some charge against the Labour leader, thousands more are recruited. Because, at long last, the LabCon regime has been rumbled. The general public has woken up to the corrupt nature of their elected parliament, with the exposure of relatively minor peccadilloes – claiming unmerited expenses, seeking cash for questions – to serious but legal corruption. This sees senior MPs powerfully influenced by large corporations which offer them non-executive directorships and/or retirement positions and then make decisions which increase their benefactors’ profits, rather than the common good. make the poorest pay for the banker-politician-made crash. As the drip feed of slander and innuendo proceeds apace, the Labour Party membership continues to increase; many thousands flock to hear Jeremy Corbyn and make their presence enthusiastically felt on social media, radio, TV or in public – wherever there is an audience. Though 80% of all milk produced in the UK is consumed domestically, the NFU attributes the fall in price to the sanctions on Russia and weakening demand in Asia. 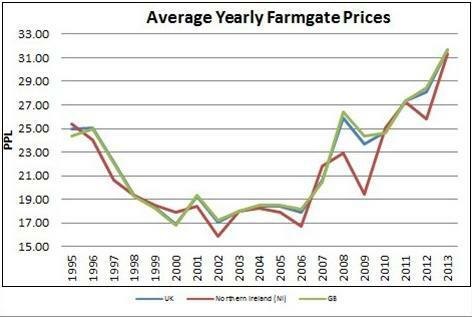 The FT reports that Asda also justified the low prices paid to farmers saying they were set by global supply and demand. 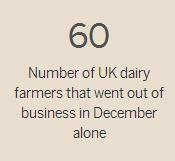 First Milk, the farmer-owned group, one of the UK’s biggest dairy co-operatives, has suspended payments to around 1,200 farmers for two weeks. The company said that returns had fallen 50% in the past year and yet – the FT reports – farm costs are 36% higher than they were in 2007 and the single largest cost component of a dairy farm, animal feed, is more than 50% higher. A table from an 2007 overview: Snapshot of farming in the UK, on the BBC website (below), will be of interest to readers news to the subject. 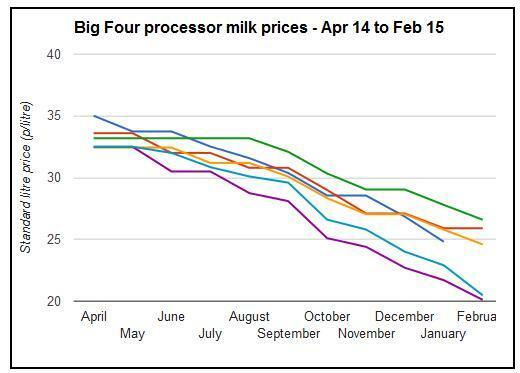 Recent price cuts mean that farmers are facing milk prices of just 20p a litre, the lowest since 2007 according to the NFU said, but the following graph indicates an earlier date. Milk is now cheaper than bottled water, according to research by The Grocer, which recorded four-pint bottles of milk being sold for 89p by supermarkets Asda, Aldi, Lidl and Iceland. Is there any future for those who produce perishable food and are currently held to ransom – unless they join forces and demand prices covering production costs?